According to the football transfer rumours in English Media, Watford are close to loan deal for Everton midfielder Tom Cleverley. Following the expiration of his contract with Manchester United, the England international has joined Everton in 2015, signing a five-year contract with the Toffees. After his arrival from Manchester United, Cleverley has scored two goals and provided seven assists in 42 games for Everton, including one assist in 12 games in all competition this season. The England international has find himself further down the pecking order since arrival of new Everton manager Ronald Koeman. 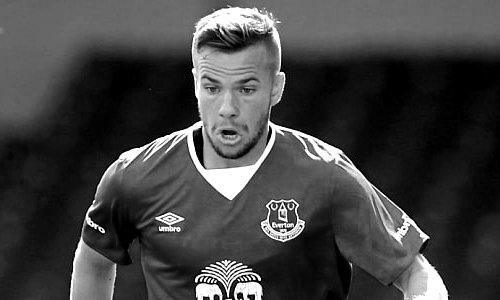 According to the English Media, arrival of Manchester United defensive-midfielder Morgan Schneiderlin could be the end of the Tom Cleverley as a Toffee. The England International has been a long term target of Walter Mazzarri as the manager looks to bolster his midfield options for second part of the season. Euro Football Rumours were informed that Watford have agree loan move with Everton representatives, and Tom Cleverley is on his way to Vicarage Road for a medical.